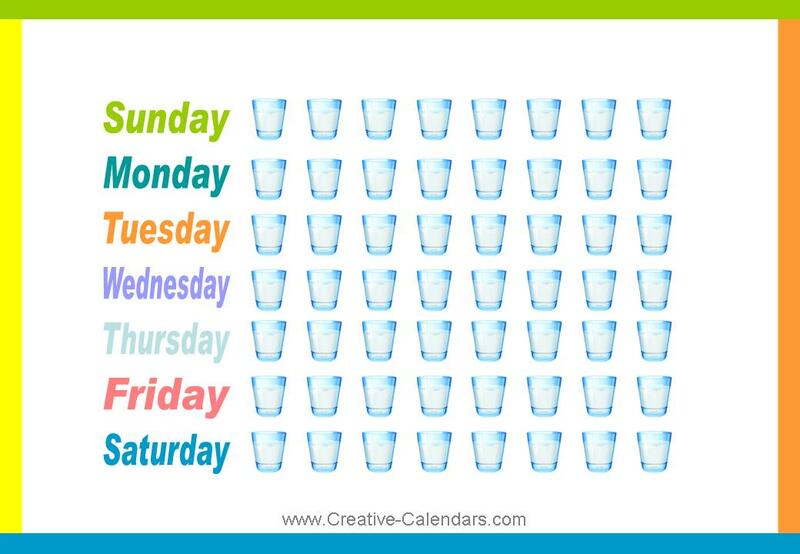 Everyone knows that water is very healthy and you need to drink enough each day. The problem is we sometimes forget or lose track of how much we drink. 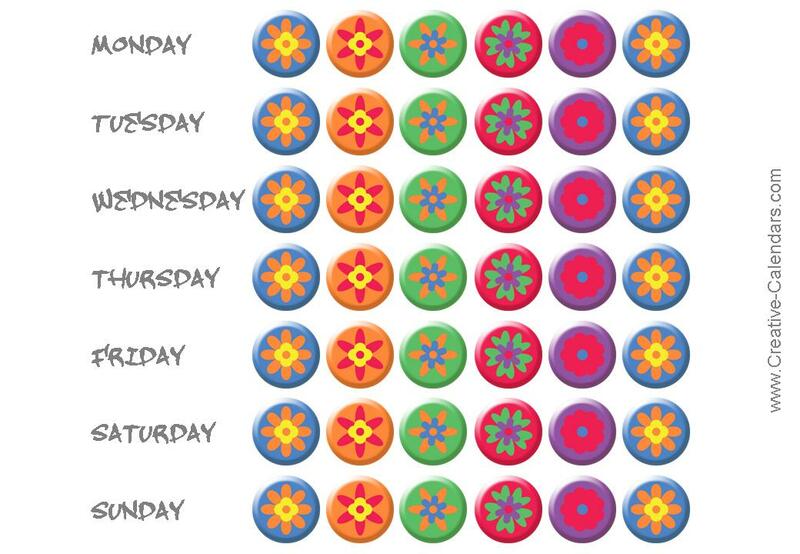 This water intake tracker will help you keep track of how much you drink each day. 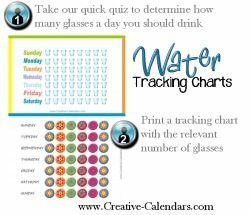 Once you have determined how many glasses of water you should drink each day (you can calculate this below) choose the relevant tracking chart below. 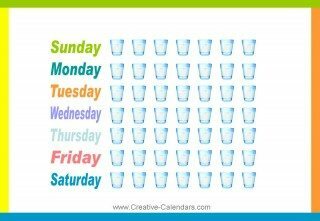 The following guidelines will help determine the estimated number of cups of water you should drink each day. Please note that they are only guidelines and you might need to adjust your daily water requirement. Do you have heart failure, kidney, liver or adrenal diseases? Check with your doctor. You might be required to limit your fluid intake. 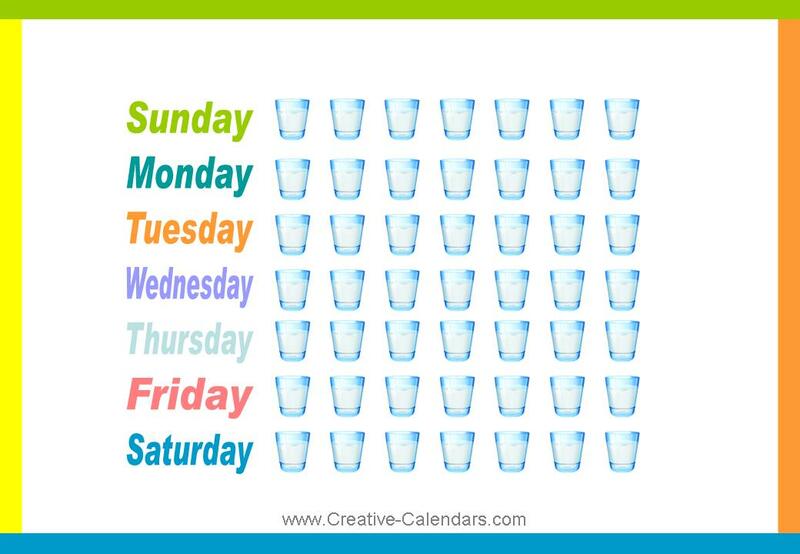 How do you check if you drink enough water? 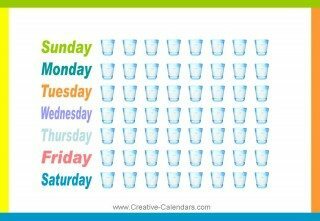 Everyone knows how important it is to drink enough water but some people just can’t seem to fill their water chart. These tips will help you increase your water intake. 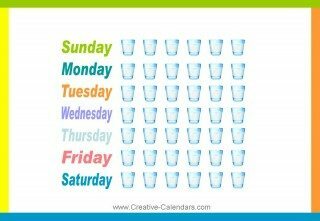 Take your water chart with you so that you can mark off each glass of water that you drink. You could find another system that works for you. 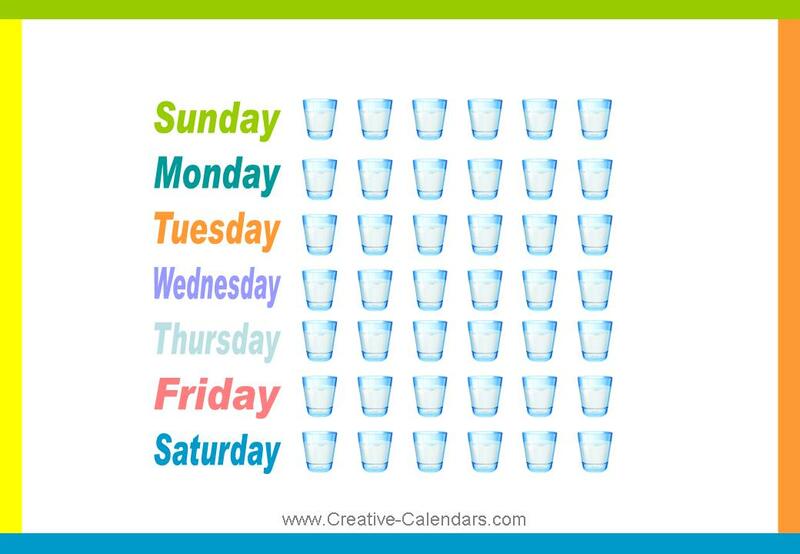 For example, calculate how many bottles of water you need to drink each day. Put that same number of elastic bands on your water bottle and take one off or move it to the other side each time you finish drinking a bottle. Always carry a bottle of water with you. If you use a big sports bottle then you don’t have to fill it too many times to reach your daily water requirement. If you don’t drink tap water then get a water purifier installed or purchase bottled water. If you don’t like the taste of water then add a few mint leaves, a lemon slice, a splash of fresh fruit juice, ice cubes, etc. You could also add herbal tea as long as it is caffeine free. You can make hot or cold tea. Start your day off with two cups of water. 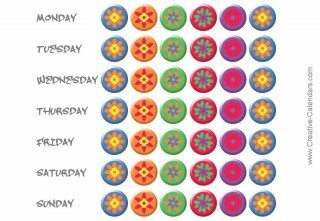 You can mark two cups off your chart before you even start your day! If you prefer cold water then add ice. If you prefer lukewarm water then add a bit of warm water. Find set times to drink each day such as each hour at work, before and after you drink coffee, before meals and snacks, before you leave work and as you arrive, etc. Have a glass of water after you go to the bathroom. Stop drinking soda and fruit drinks and replace them with water. If you find this difficult then just cut down on soda and dilute fruit juices with water. Buy yourself a nice water cup or water bottle that you love. Write an inspiration quote on the bottle or cup with a permanent marker. You can also stick a motivational sticker on the bottle if you can find a water resistant one.